All year long we’ve gone from home to work to home again, taking refuge from the snow and sleet in front of warm, glowing TV and computer screens. But now that it’s finally the best season of all (yeah, you know the one), we need to make the most of it. That’s why we’ve compiled the ultimate summer checklist to help you escape your binge-watching cave and embrace all of this season’s best activities. Now lather on that SPF and get out there." 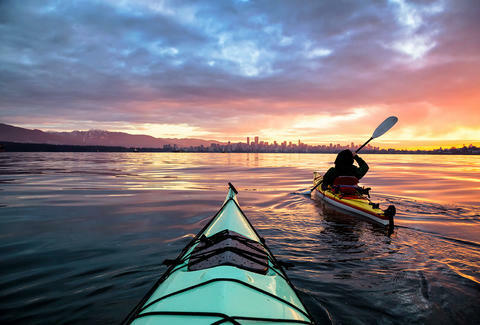 "
If you’re looking to get out on the water but crave something a little more high-energy, trade that inner tube in for a kayak. You can head out on the river solo or in a kayak built for two (how adorable), but just remember to always wear a life jacket. Nothing says summer like escaping the city with a huge group of friends and cracking open some cold boys on the dock. Just make sure to book a place early so you get the best deal and the sweetest pad. And remember: Last one there has to sleep on the futon. No matter where you live, an epic music festival is never too far away. You can still grab tickets to see some of your favorite performers like Solange and Frank Ocean at NYC’s Panorama (July 28-30) or Lorde and A Tribe Called Quest at San Francisco’s Outside Lands (August 11-13). But don’t slack; FOMO is real. 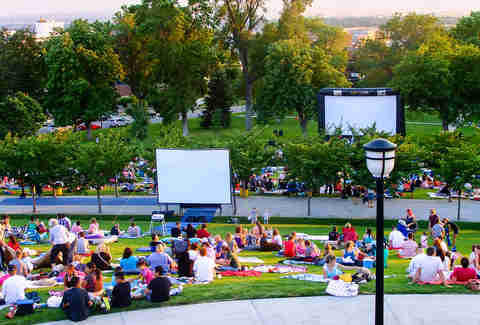 If you live in or near a major city, you can probably find a list of outdoor movie screenings near your ’hood. In Los Angeles for example, Eat|See|Hear has a full lineup of free flicks playing all season long from Die Hard to When Harry Met Sally. A quick Google search will lead you to an awesome (and inexpensive) night out with friends. If someone invites you out on their boat, you’d better take the bait. (Oof, sorry.) But really, going fishing is one of those rare opportunities that -- depending on where you live -- only comes around every so often. Beers, bass, and hanging out in the sunshine -- fishing is all the best summer activities combined. And did we mention it’s more zen than yoga? Can summer even be considered a success if you don’t break free from the hustle and bustle of the big city? Pack up a few cars, grab a few friends and a few cans of bug spray, and just drive towards the woodlands. Aside from picking the ideal location and packing provisions, a camping weekend doesn’t take much planning, so you’ve got no excuses. If, however, you’re more comfortable in the backyard, just hang there. What’s most important is that you’re getting outside. Buy an inexpensive tent online, come up with some spooky stories to tell, and most importantly, buy s’mores supplies beforehand. There’s nothing more magical (and yes, romantic) than riding the ferris wheel, playing arcade games, and sharing cotton candy on a hot summer night. And it doesn’t just have to be in the movies. Head to your local amusement park or fair with someone special, make them win you the biggest teddy bear, and turn your life into an IRL summer rom-com. S’mores don’t need to be a childhood fad or a treat reserved strictly for camping. Instead, host a party featuring the gooey snack exclusively. (Well, and maybe some s’mores-themed cocktails. Time to break out the Kahlúa.) You know what you’ll need: Chocolate, check. Marshmallows, check. Graham crackers… this might just be the best party idea ever. Easily one of the most underrated activities of the short-lived season, running around a water park is the perfect way to escape the heat while satisfying your inner thrill-seeker. If you live in NYC, Mountain Creek is the spot at just two hours outside of the city in Sussex County, NJ. And In California, the options aren’t scarce. You could even go on a water park tour of the state if you wanted. Beds and couches are great... in the winter. But in the warmer months, don’t miss the opportunity to take what will probably be the most relaxing nap of your life. 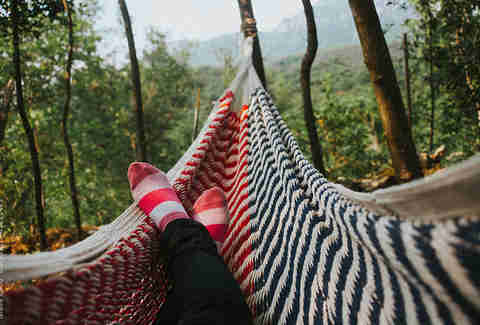 That’s right: We’re talking about propping your feet up and snoozing in a hammock. Hang this one in your backyard or just head to your neighborhood park with one that’s easily transportable. With the perfect breeze blowing, nothing could be more euphoric. There are few things more refreshing in life than ice cold beers and cool summer showers. It’s when you combine the two, however, that the magic really happens. No need to limit yourself to just one situation, but shower beers are ideal for when you get home from the beach and need to get ready for a night out. The day-to-night transition has never been more seamless. As adults, we usually just go to the beach and lie around. These days, we’re too consumed with tanning to remember how much fun it is to actually play in the sand. So instead of lounging on top of it, get buried underneath it next time. Provided you’re not Benjamin Button, nothing will make you feel more like a kid. Summer isn’t just about sun; it’s about maximum relaxation. That’s why you need to grab an inner tube and float far away down a river of your choosing. Since you can’t bring valuables (cell phones, iPads, or electronics in general), it’ll be just you and nature. Kick back and let your toes dangle over the edge. The sights will be some of the best you see all season. Okay, yes. You can get lobster at restaurants year-round, but there’s something about a crustacean boiled at a big outdoor shindig, dredged in butter, and chased with a glass of sangria that just... it just tastes better. Don’t miss out on one of the season’s most underrated parties. Whether you’re at the beach, having a picnic, or just chilling in the backyard, there’s always one thing you need within arm’s reach: One bazillion snacks. But don’t settle for plain, store-bought chips. (Especially ones that aren’t kettle-cooked. Have you no decency?) Instead, elevate your grub by finally perfecting that guacamole recipe. 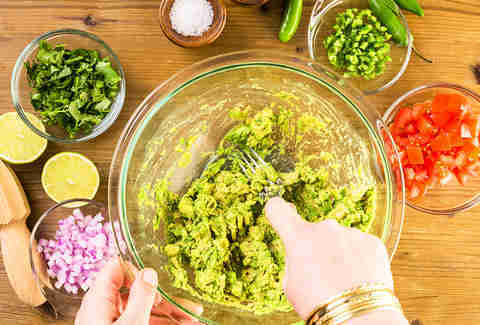 Objective fact: People love people who make awesome guac. There’s no denying that barbecues are summer staples. The smell of charcoal burning, hot dogs, cold drinks, good friends. While you’re sure to attend at least a few, try hosting your own. It means you get to control the music, the drinks, and of course, THE GRILL. In the colder months, it can feel like you never see the sunlight. You leave the house when it’s dark out, then spend all day in the office, and then when you finally leave... dark again. That’s why you need to catch the sunrise at least once this summer. Hang out with friends or spend a romantic night under the stars with your boo. Those moments of quiet dawn are priceless. Summer fruits and veggies are among some of the most refreshing, so you should get them straight from the source -- or as close to the source as possible. 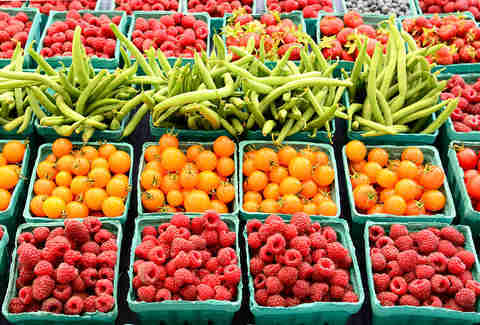 Though certainly open throughout the year, your local farmer’s market thrives in the summer. Stop by to pick up what will probably be the most delicious cucumbers, bell peppers, tomatoes, peaches, strawberries -- and really whatever you’re craving -- you’ll probably ever eat. No pool? No problem. There are plenty of ways to have summer fun without having mansion-like accommodations. Grab a $20 kiddie pool from your local drugstore, funnel the hose into it, and just hop in. You might not be “kiddies” per se, but guess what? Adults get hot, too. It’s never actually summer until you hear the ice cream truck coming down the street, is it? So you flag him down, ask him to wait, and run inside to grab your wallet. It’s actually better than when you were a kid because these days... you don’t need anyone’s permission to get sprinkles.